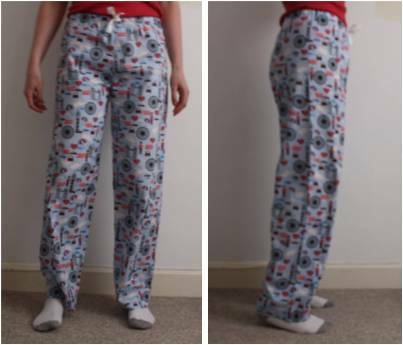 Pyjama bottoms definitely make a good beginner project – straight forward stitching and they are not closely fitted. I quite fancied a new fun print pair of pyjamas and was excited to be able to make them the right length! I found this fun London print fabric on Goldhawk Road that was just what I was looking for. I am not sure if this would be described as a lightweight quilting cotton or a cotton poplin, but it worked well for the pyjamas. 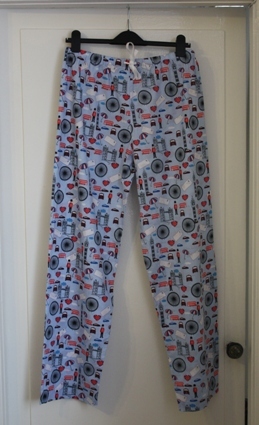 I used Simplicity’s Easy PJ Pants pattern – a free PDF download that I found via Did You Make That?. Unfortunately I think something went wrong with the sizing when I printed this as I had to shorten the pattern (I’m pretty tall so definitely wasn’t expecting this), but the print out didn’t include a test square (or I missed it) so I couldn’t check. After quite a lot of measuring of the flat pattern vs existing pyjamas to try and get the right size cut I ended up with a pair of wearable pyjamas, but they are snugger than I would like around the hips. Long enough though! He he, pop over to my blog and I have a similar photo of me and Tilly. 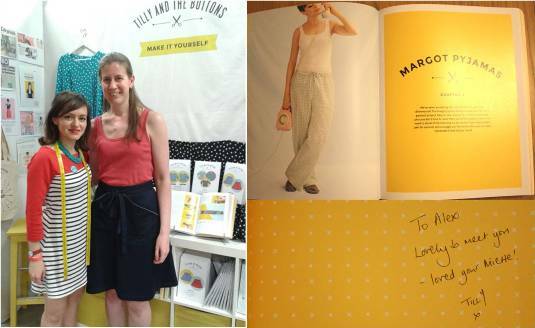 If I had realised you were going to the Makegood Festival we could have met up! 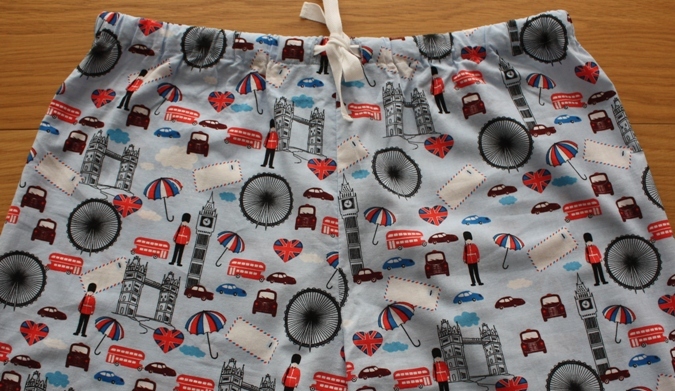 Love your London print – a great idea for PJ’s. Ahha! Hope you enjoyed the festival. I found it very inspiring wandering around and chatting to the business owners, so many and such variety of creative products.